Most of the speeches we have heard so far today and yesterday have had three main focuses. One of them, without a doubt, is the global economic crisis, its impact and evolution and how to overcome it. Climate change has been another focus. And, finally, the third fundamental and very important topic has been the maintenance of international peace and security. I believe that emerging countries, and Argentina in particular, have a wealth of experience to share in connection with these three topics, and that we need to take a position. With respect to the global crisis, whose impact has been felt in emerging countries despite the fact that it actually originated in developed countries, it must be pointed out that it was precisely the developing countries that supported the economic growth of the past decade and that will again reignite and sustain economic growth and activity and thus provide the means to overcome what is perhaps the most significant economic crisis since 1930. 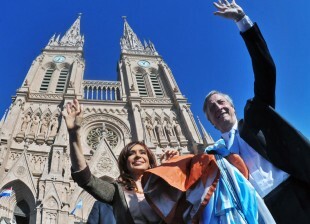 And Argentina, in this sense, was somewhat of a guinea pig for the policies of the 1990s, when it was held up as a model pupil while it was in reality ratcheting up unsustainable levels of debt, producing neither goods nor services, and actually experiencing a fall in job- creation, finally collapsing in 2001 in a financial crisis very similar to that which shook the world in the third quarter of 2008. The ground fell out from beneath Argentina in 2001. However, through the policies we pursued from 2003 onwards, we have been able to overcome that crisis, which so closely resembled that which hit the world in 2008. And we did so through our own efforts and, crucially, with an economic and political strategy that was not dictated by demands from the multilateral credit institutions but was in line with our own convictions and, crucially, our own interests. In the eight years leading up to this bicentennial year — this year, my country marks 200 years of freedom — we have achieved the most significant economic growth ever seen in our 200 years of history. We managed to emerge from debt in a way never before seen in our history. Since that sovereign default of 2001, which was the greatest such default in history, today Argentina has renegotiated 93 per cent of its total debt with Argentine debt title-holders. And, moreover, Argentina has achieved heretofore unknown inclusive growth in the past year, following our application of counter-cyclical measures throughout all of 2009 and in late 2008. We have experienced growth in economic activity of 9 per cent over the past 12 months. We brought the unemployment rate back down to 7.9 per cent. And we managed to continue reducing the rates of poverty and extreme poverty, which are now at levels never before seen in our country. This is due essentially to counter-cyclical economic management and to an understanding that instruments such as the central bank, reserves, foreign trade, production, employment generation and better living standards, with a robust expansion in fiscal spending, are exactly what has meant that the crisis overwhelming developing countries has not had the same impact it would have had at other times. In this context, I wish to point out that we have also promoted the intelligent use of our reserves, which is something currently under discussion in all multilateral bodies, in the world of economics and in the context of the Group of 20. We have used our reserves rationally because we believe that, in our case, they are the result of a trade surplus — that is to say, hard currency dollars — and should be applied to paying down the debt rather than putting them into capital markets, thereby resulting in double-digit debt while we would be paid only 0.5 per cent interest for our reserves. It would really have been senseless and irrational for our country to go into double-digit debt when in reality we had more than enough reserves, for which we would be paid barely 0.5 per cent. What I am trying to say is that our experience in Argentina, as well as that of other emerging countries — which, I wish to reiterate once again, are shoring up economic growth — makes it incumbent upon the Group of 20, as well as the Group of 77, where we will also push for this, to carry out a rigorous reform of international credit agencies, which have failed in their fundamental purpose: to ensure a stable global economy that produces jobs and well-being for the inhabitants of the planet. In that regard, we believe that it is truly urgent for there to be global legislation in the area of vulture funds, which basically move from one area of the country to another in genuinely speculative ways and have a pitiless impact on economies. We also believe that there is a need to evaluate and legislate on risk- rating agencies, which for instance rated Argentina’s debt as highly risky when it reality the Argentine Republic had been scrupulously paying its debt since the first renegotiation, in 2005, without turning to capital markets. Nevertheless, they have given much higher rankings to countries that subsequently demonstrated that they did not have the capacity to address their debt because they had structural problems in their economies, such as fiscal deficits, commercial deficits and reserve outflows — precisely the opposite of what took place in Argentina. We therefore believe in the need for global re-engineering of multilateral funds — essentially in a theoretical framework different from the one that the world has experienced, namely, the Washington Consensus. That Consensus has been exhausted by failure, but has not been replaced by a new theoretical framework that gives different roles to central banks, as well as to States as instruments to promote counter- cyclical fiscal measures that ensure something which, in our opinion, is a central concern: employment stability, rather than just currency stability. We also sincerely believe that currencies should not be protected solely from a monetary perspective; on the contrary, we believe that the value of each country’s currency is directly linked to the potential for growth and wealth-generation capacity of each country’s economy. It is also linked to the equitable distribution of wealth, which should make societies sustainable through a model that is not just economic but also essentially political. Climate change, which is very important and will soon be addressed at the Cancun meeting, has also been a central theme in all the interventions that have been made from this rostrum. While it is well and good to speak of that, we have not been able to reach an agreement because, in fact, we are not being offered a solution in this area that is just and equitable in terms of who, and to what degree, should bear primary responsibility for damage due to environmental pollution. It is not fair that developing countries — which, by paying a high price, have been able to overcome high levels of poverty and social inequality through economic growth — should be the ones that have to assume responsibility for the environmental legacy of developed countries, which for decades contaminated the world and which should therefore be the ones to shoulder this responsibility. Establishing viable targets and goals that are in line with the need to continue to grow the economy also require that we seriously realign our goals in the area of global warming. believe all of us have looked forward to for quite a long time: that the State of Palestine will be seated as a full member during the next session of the General Assembly. We believe that will make an enormous contribution to the maintenance of international peace and security. I say this by virtue of our experience as a country that has been a target and victim of international terrorist groups. As the Assembly is aware, in 1992 and 1994 my country was the victim of two terrible terrorist attacks. The first was the blowing up of the Israeli Embassy, and the second tragedy was the bombing of the Asociación Mutual Israelita Argentina (AMIA). In that regard, in 2007, my country’s then President, Néstor Kirchner, requested the Islamic Republic of Iran to agree to the extradition of Iranian citizens whom the Argentine justice system had accused of participation in carrying out that heinous crime. I did the same as President in 2008 and 2009 — to little effect, I must confess. I did so while emphasizing that mine is a leading country in respecting human rights and bringing to justice those who commit crimes against humanity. I have also underscored that we have a system that ensures due process and the right to counsel and that does not permit anyone to be tried or convicted in absentia. It is for those reasons that we continue to make this request for extradition. 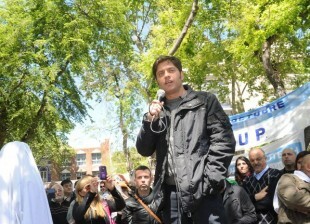 We have also emphasized that for any Argentine citizens who believe that our country’s justice system is not fair enough or does not enforce the law, we are party to international conventions to which they can turn, including such international tribunals as the Inter-American Commission on Human Rights. Despite the fact that we have guaranteed that all these principles will continue to be respected in the Argentine Republic, we have not yet achieved results. I shall not on this occasion call for the fourth time for something that will clearly not achieve results. 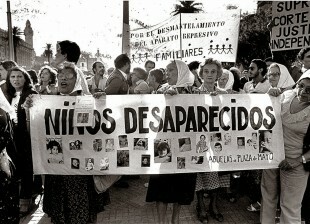 But I will propose to the Islamic Republic of Iran — even if it has no faith in Argentine justice, as it has said, because of prejudgement and insufficient neutrality to carry out a trial — that a third country be selected, through mutual agreement between our countries, in which there are guarantees of due process and where international observers and United Nations representatives may participate to bring to trial the terrible attack on AMIA in our country. I should also like to say that we do not consider that attack as an attack on one community or one religion. 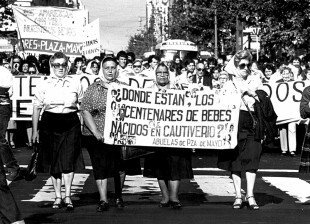 For us, it was an attack on all Argentines. I am President of a country where we can celebrate the Jewish New Year with the Jewish community, as I did this year in my capacity as leader of the country. We also celebrated the end of Ramadan at an Islamic centre. We are a country of open- mindedness because of our immigrant heritage, which guarantees plurality and diversity for all. There is a precedent for what we are proposing. This precedent is not a capricious or fantastical legal construction; it is the Lockerbie case. That is an international precedent of a trial held in a third neutral country that could provide guarantees for those who fear they might not be judged impartially. 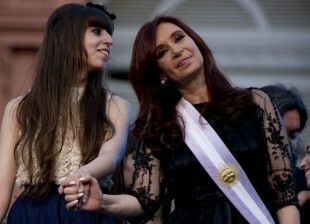 In this connection, I would like to clarify that the Argentine Republic is not seeking guilty parties. 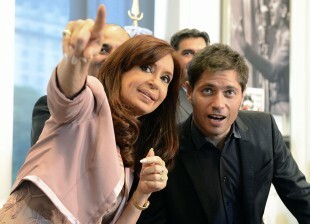 All the Argentine Government seeks is justice. Ultimately, anyone who has committed a crime of such magnitude should be punished. Thus, we hope that the offer I make to the Islamic Republic of Iran today before the General Assembly will put an end to the pretext of non-neutrality and to accusations of our complicity in withholding impartial justice. I address this in particular to those who insist that there can be no impartial justice. I believe that this eloquent gesture has international precedents and will allow us to resolve this situation and to channel this dispute institutionally. We must do this if we wish to feel truly part of the international community. We must resolve this dispute in a framework of justice and legality. Finally, again in connection with security concerns, we must once again, here in this Assembly, demand respect for our sovereign rights over the Malvinas Islands. We do not do so solely for historical reasons. Our claim is absolutely up to date. The United Kingdom has systematically refused to implement universally binding General Assembly resolutions calling for negotiations with the Argentine Republic on the question of sovereignty. and whose transplanted population sits on a continental shelf that unquestionably belongs to the Argentine Republic geographically, geologically and historically. The second aspect is the risk of ecological catastrophe. British Petroleum, operating off the coast of the United States in the Gulf of Mexico, set off an unprecedented ecological catastrophe. The lack of oversight by our country or any other over what the United Kingdom is doing in the Malvinas Islands has mobilized us not only to defend the natural resources of my country, but to seek to avert an ecological catastrophe that could occur due to this total lack of oversight. Some may say that this has nothing to with security. It has a great deal to do with security, because one of the central problems of our globalized world is the need to adapt the Security Council to our times. We need a Security Council worthy of its name. England, like other countries that have a permanent seat on the Council, has used and misused its position. Resolutions of the Council are applicable only to those countries that do not have sufficient power or the right to a permanent seat on the Council. The Council should be reformed because it has never been able to maintain international peace and security. That is not simply because some seats are permanent or because the world context has changed since the San Francisco Charter created the Security Council. The Security Council, with its permanent members, was a Security Council where those who were seated could, by pressing a red button, cause a nuclear holocaust. That was the true reason for creating a Council that could strike a balance between the interests of a bipolar world and prevent a nuclear holocaust. That world no longer exists. Those who were once irreconcilable enemies and rivals are now associates, allies, friends or whatever anyone might care to call them. What is certain is that those who can unleash terrible conflict situations, tragedies and international terrorism are not and never will be seated there. Thus, the Security Council has lost its effectiveness because it is not in line with today’s world or the dangers besetting it. Quite the contrary, the use and misuse of their dominant position by members of the Council in certain countries have provoked conflicts that cannot then be stifled by the Council, much less by the Organization. 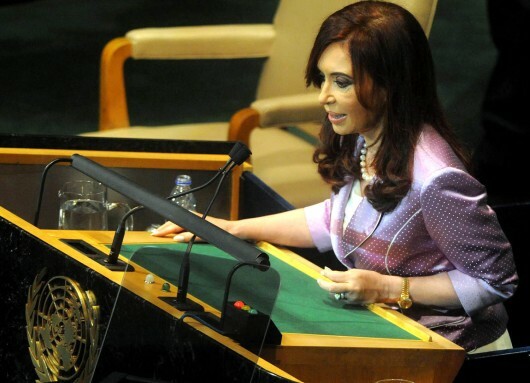 We believe that the case of the Malvinas Islands is very enlightening. The United Kingdom can do as it likes because no one is compelling it to implement the decisions of the Security Council, because it is a permanent member and an important member of NATO. In a world of double standards — where only the developing and extremely weak countries are compelled to abide by the international legal order while those who can systematically violate it do so — it is not possible to build peace, let alone maintain international security, because such situations end up creating the kind of insurmountable disputes and differences we see every day. I believe it important to note that the concepts of security and peace can never be associated with military matters alone. They must be essentially associated with political values, equity, freedom and a cause for which humankind has fought from the beginning: equality.